We were up early to make the trip to the Taj Mahal, creeping out of Delhi in a more inconspicuous manner than that which I arrived in. The trip was 4 hours, and we arrived at 9.30am. It turned out to be crucial, as the day became very warm and the taj later became crowded with tourists and locals. 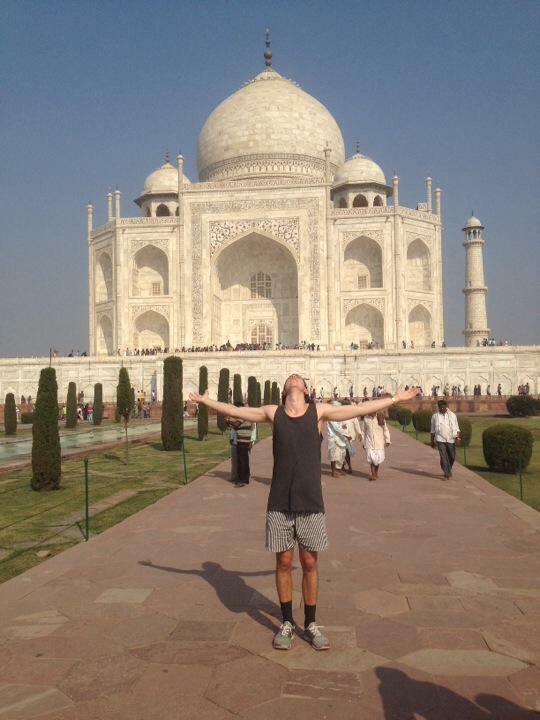 The Taj is an amazing piece of architecture. It took 22 years to build, and though it's reputation precedes it, it's beauty was everything and more. Masses or white marble, beautifully preserved against the elements. The intricacy of the design was unbelievable given the tools they had used. It truly is one of the 7 wonders of the world, and I implore you all to see it. We then travelled to Jaipur via car and arrived around 7. We lucked in with our hotel, paying $20 per night for a beautiful place with clean water, a nice bed and good tv and internet.